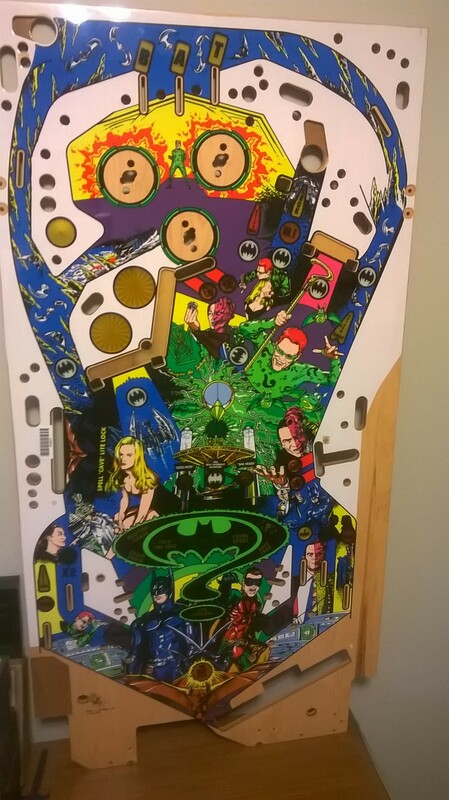 Now here is something you aren’t going to find anywhere else. 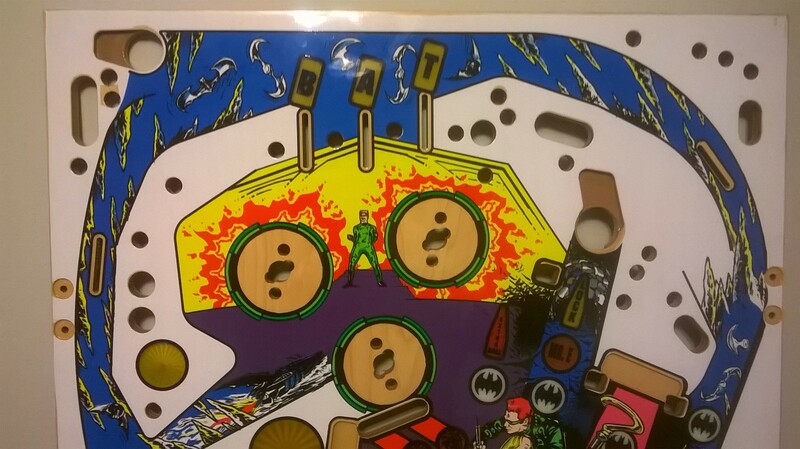 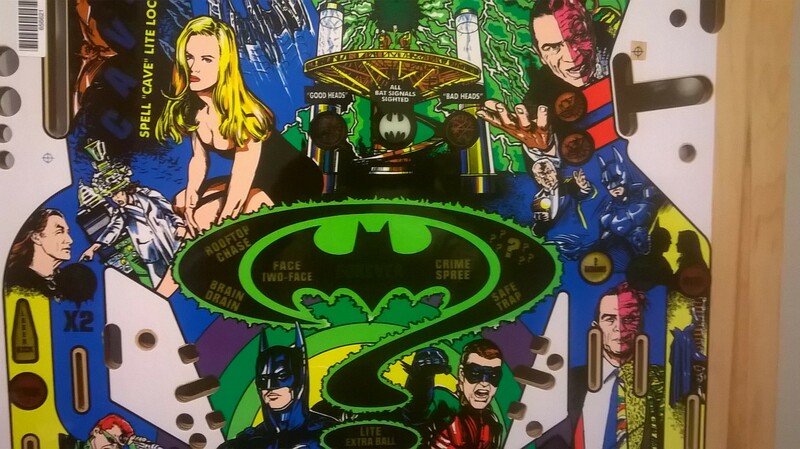 A NOS Batman Forever playfield, some of my favorite Sega artwork, awesome large DMD, and a really great game with tons to shoot for on the playfield. 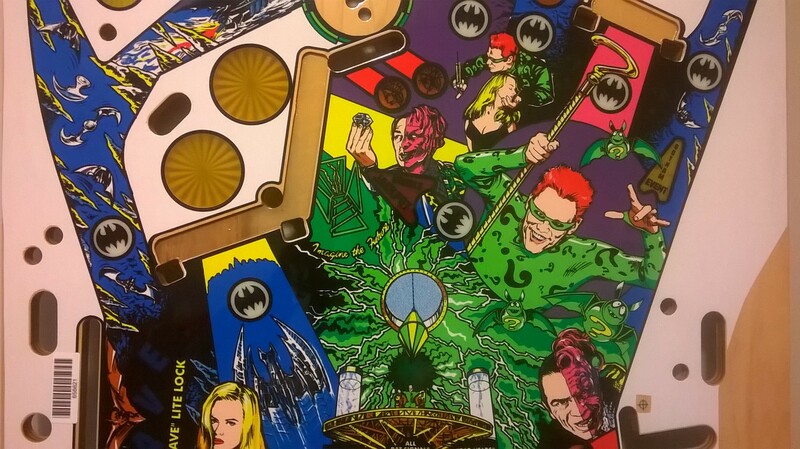 I still have to admit this Batman holds a special place in my heart, must have just been the right age when it came out or something. 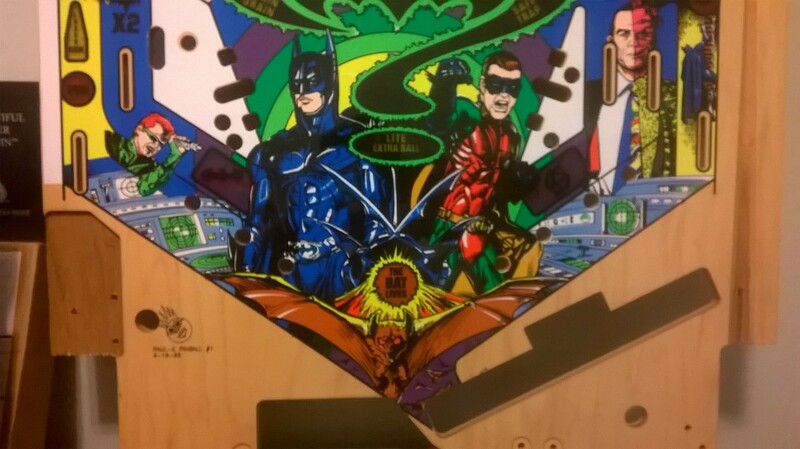 Anyway, make your game look as good as George Clooney by having me add Kruzman Clear Coat to this bad boy and ship it off to you in one of my custom built shipping containers, $750 for the playfield and extra $$$ for the extra services if you would like them as well.